Clear Channel is pledging to plant a tree for every telephone kiosk it upgrades, and NME and Google team up for VR tour of Abbey Road Studios. Two green thumbs up for Clear Channel, which announced the reintroduction of its Adshel Live digital network in London by pledging to plant a tree for every telephone kiosk it upgrades. Speaking at the company’s annual upfronts last week at The Wallace Collection in Marylebone, chief executive Justin Cochrane (pictured) outlined plans to transform 500 phone boxes by the end of next year. Clear Channel bought the Arqiva kiosks in January, having lost Transport for London’s bus-shelter contract to JCDecaux in 2015. The new trees will be planted in areas close to the phone boxes, with help from environmental charity Trees for Cities. 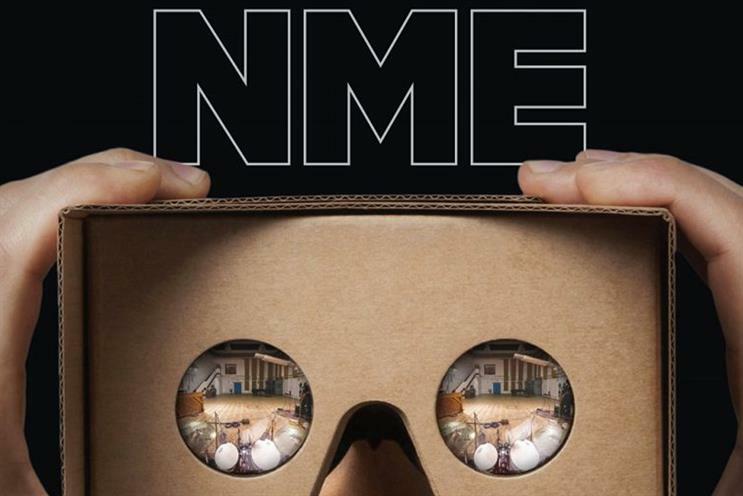 Google partnered NME to give users the chance to experience Abbey Road Studios, where The Beatles, Radiohead, Amy Winehouse and other musical greats have recorded. Eighty thousand virtual-reality sets were handed out along with the magazine for readers to use via Google’s Inside Abbey Road app. The tech giant claimed this is the first time it has given away so many VR sets in the UK. The deal was brokered by OMD UK. In August NME said ad revenues had jumped 128% year on year since it went free and hiked circulation to 300,000 copies. DMGT is planning to cut 400 jobs across editorial and commercial as it launches a strategic review due to declining ad sales and tough trading. The owner of the Daily Mail said the move will cost £50m, as opposed to the £15m it earmarked for restructuring costs in May. DMGT has reported a 10% drop in ad revenues, with print down 20%, in the five weeks from 21 August. Trinity Mirror looks no better. Print ad revenues nosedived 21% in the third quarter.